Tomar and the FCs play tonight at fabulous O’Leaver’s. Only time for a couple quick mentions. 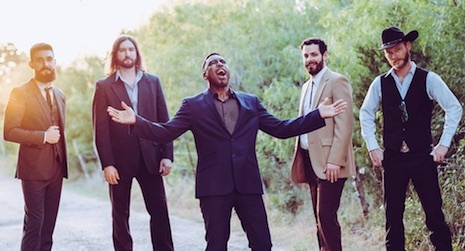 First, Austin-based R&B/soul band Tomar and the FCs are playing tonight at fabulous O’Leaver’s. This is that old-time sound done with a modern twist. I’m told they’ll play first tonight at 9:30, followed by Omaha faves The Lupines. It’s a can’t-miss show that I’m going to miss because I have to be at work at 7 tomorrow (boo!). $5. Go! Former Omahan now Denver-ite Mitch Gettman dropped the second song from his upcoming album, Some Purgatory, which comes out this Friday. Called “Typical Fool,” the tune features local up-and-comer Jocelyn. Check it below. Psst…. Gettman is booked to play Farnam Fest this Saturday.